You never want to be the guy who replaces THE GUY. However, Ryan Day seems like a safe option. He already had an audition, leading Ohio State to 3-0 record to start last year while Urban Meyer served out his suspension for his handling of allegations of domestic abuse involving a former assistant. Day is young, but also has 15 years of experience spanning both college and the NFL. Chip Kelly thought enough of Day that he served as Kelly’s quarterback coach with the Philadelphia Eagles (2015) and with the San Francisco 49ers (2016). Day is credited with modernizing the Buckeyes offense. This past season, Ohio State was eighth in the nation in scoring (42.4 points per game) and second in passing yards (364.3). Day developed Dwayne Haskins, who set the Big Ten single-season passing touchdown record (50) which also led the nation. Historically, Ohio State usually gets it right. The past five head coaches (excluding interim coach Luke Fickell in 2011) all won 71 percent of their games. West Virginia has a lot of faith in Neal Brown, already making him the highest paid new coach in the Big 12. There is a lot to like. He’s young, smart and already successful. He might be a significant upgrade over Dana Holgorsen, who left for the Houston job. Brown is one of only six FBS coaches to win at least 10 games over the past three seasons. Brown is known for his offensive acumen, having been an offensive coordinator at three different schools (Troy, Texas Tech, and Kentucky). At Troy, he took over a program that was 3-9 before he got there. After a 4-8 rookie season, he went 31-4 over his final three season at Troy with three bowl victories. Troy cracked the AP Top 25 poll in 2016, and the following year, they upset then No.25 LSU. Brown was named the 2017 Sun Belt Conference Coach of the Year. Under Holgorsen, West Virginia had some moments but was 2-5 in bowl games. Brown will try to lift the Mountaineers to the next level. The fact that the University of Louisville was turned down by alum and native son Jeff Brohm tells you everything you need to know. This job will not be a quick fix. The Cardinals (2-10) didn’t just have a coaching problem under Bobby Petrino. They had a severe lack of talent and player development problem. They had the second-worst average scoring margin in the nation (minus-28.7). Satterfield is a decent consolation prize. He’s one of those guys who was viewed as an up-and-coming star. He guided Appalachian State through its transition from the FCS to the FBS. Satterfield’s only losing season was his rookie year in 2013, the program’s last in the FCS. He went 40-11 over the past four years, including 3-0 in bowl games. Curiously, Louisville will not have a spring game, which might be sign that Satterfield knows his first season will be challenging. Texas Tech got rid of impossibly handsome Kliff Kingsbury. He wasn’t good enough for the Red Raiders, but he’s good enough for the Arizona Cardinals? That’s confusing. Under Kingsbury, the program was 35-40 with three straight losing seasons. He did, however, produce consistently exciting offenses, highlighted by his development of Patrick Mahomes. Can the new guy top that? Kingsbury left a lot of talent for Wells to work with. There’s every reason to believe that the Red Raiders could be much improved over last years 5-7 mark. Wells knows offense too. Utah State was second in the nation in scoring (47.5), 11th in total offense (497.4), and 17th in passing offense (294.2). Wells went 10-2 last season and was the Mountain West Conference Coach of the Year. Wells’ success will depend on whether he can solve Texas Tech’s longtime defensive woes. The Red Raiders never ranked higher than No.88 in scoring defense under Kingsbury. This was the coaching hire that stunned a nation. Les Miles is odd. He eats grass and gives bizarre press conferences. His quirks shouldn’t overshadow the fact that he’s been a consistent winner. Miles was good at Oklahoma State and won a national championship at LSU. He was fired simply because he couldn’t beat Nick Saban. Miles was 114-34 at LSU for .770 winning percentage. His successor Ed Orgeron owns a .735 winning percentage. Miles has been desperately trying to get back into coaching since being fired in 2016. Kansas football will be the biggest challenge of his career. Kansas might be the worst Power 5 football school in America. It has virtually no tradition and no real history of success except for the magical 2007 season of Mark Mangino. However, expectations are so low that Miles figures to be given plenty of time. Suddenly, Temple has become a launching pad for coaches. Who would have guessed that? Collins becomes the fourth straight Temple coach to land a Power 5 job, following Al Golden, Steve Addazio, and Matt Rhule. Collins takes over for retired Paul Johnson, whose prehistoric flexbone triple option offense was something of a novelty. Johnson’s system kept him employed as a head coach for almost two decades, including 11 years at Georgia Tech. But in this pass-happy era, it probably was major deterrent for recruiting. Collins made his bones as a defensive coordinator, but vows to revamp the offense into something fun. But there are still Johnson’s players on the roster. Collins brought his offensive coordinator from Temple, Dave Patenaude, to establish a new identity. Under Patenaude, the Owls ranked 24th nationally in scoring (34.9 points per game) and had the fourth best passing offense (253.6 yards) in the American Athletic Conference. Still, this will take time. Locksley was once Maryland’s interim coach. He finished out the final six games of 2015 when Randy Edsall got canned. Despite going 1-5, he was a finalist, but the job eventually went to DJ Durkin. Durkin was infamously fired last fall following an investigation into the death of a player in a conditioning drill. This will be Locksley’s third stint at Maryland. He knows the territory and is a Washington, D.C. native. Locksley’s head coaching résumé doesn’t inspire confidence. He posted back-to-back 1-11 seasons at New Mexico and was ousted after starting 2011 winless in four games. What does give Locksley credibility? Working with Nick Saban. He served as Alabama’s offensive coordinator over the past two seasons. Alabama was second nationally in scoring offense (45.6 points per game), and it set offensive school records this season for points scored, total offense, touchdowns, and passing yards. Manny Diaz was briefly in charge of Temple. But when Mark Richt abruptly resigned, Diaz returned to Miami. This hire seems to be a little bit reminiscent of LSU promoting Ed Orgeron. Like Orgeron, Diaz has deep roots to the area. Diaz was born in Miami and was the Hurricanes’ defensive coordinator for the past three seasons. Also, like Orgeron, Diaz was not a guy that other Power 5 schools were eager to hire. Perhaps this will work out. Diaz has done a good job as a recruiter and his defenses have been great. Last season, Miami was first in pass defense (135.6 yards per game), fourth in total defense (278.9 yards per game), and 18th in scoring defense (19.5 points per game). Miami underachieved last year, finishing 7-6 after being No. 8 in the Associated Press preseason poll. If Diaz can fix the offense — possibly with Ohio State transfer quarterback Tate Martell — the rebuild could be help. If you’re a coordinator who does a good job at a high-level SEC school, you’re going to get job offers. Tucker parlayed Georgia’s success into his first permanent head coaching gig. He was the Jacksonville Jaguars interim coach in 2011 when Jack Del Rio was fired. The team went 2-3. While Tucker didn’t get the NFL job he returned as the defensive coordinator the following season. The Jaguars had sound defenses during his time there. Tucker was a defensive coordinator for three different NFL teams: Cleveland, Jacksonville, and Chicago. Tucker worked under Saban in 2015 and then-defensive coordinator Kirby Smart. He went to Georgia when Smart was hired as the head coach in Athens. Tucker was also an assistant on Jim Tressel’s 2002 national championship team at Ohio State. But he had no track record of working out West. Colorado also has had very little success since joining the Pac 12 in 2011. 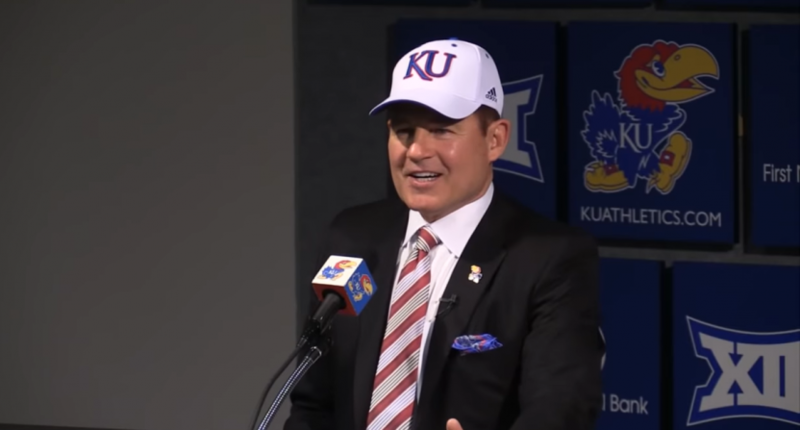 Only Kansas State could hire a 51-year-old and get considerably younger. Klieman replaces Bill Snyder who retired for good (we think) at the age of 79. Few coaches are more synonymous with a program than Snyder who spent three decades there. Kansas State was irrelevant until Snyder arrived in 1989. He gave them an identity. This won’t be an easy job. Klieman had tremendous success at the FCS level winning four national championships. Klieman continued the success of the program built by Craig Bohl, who won three FCS titles before taking over Wyoming where he’s been 28-35. Recruiting to Kansas State is challenging. And Klieman doesn’t have the kind of brand name recognition that will lure recruits. There are not many who have successfully translated FCS head coaching success into FBS success. Impossible to say if this will work out. It’s back to the future. The return of a former coach is always tricky because of the difficulty of competing against past success. Sometimes it works: Bill Snyder at Kansas State. Sometimes it doesn’t: Bobby Petrino at Louisville. Brown made North Carolina football matter in a way it rarely has. Over his final five seasons in Chapel Hill, the Tar Heels won 10 games three times. They were ranked as high No. 4 in his final season before he left for Texas where he eventually won a national championship. This isn’t an inspired hire given Brown’s age coupled with the fact that he’s been away from coaching since 2013. Under the best of circumstances, North Carolina football is a hard job. In 2018, it was the second-worst ACC team in a year when traditional powers Florida State and Miami were down. North Carolina plays in the Coastal Division – the easier of the two. But asking Brown to recreate his 1990s magic is a stretch.